Public debate over the quality of Delhi’s air reliably spikes every winter, along with the readings from air quality monitors. However, public discussion tends to rapidly taper off, even as the air quality remains consistently bad. The Initiative on Climate, Energy and Environment (ICEE) at the Centre for Policy Research (CPR) is organising a seminar series – Clearing the Air? Seminar Series on Delhi’s Air Pollution – to promote sustained and informed public understanding around the data, impacts, sources and policy challenges involved in clearing Delhi’s air. While we will focus on the Delhi context, the series will also reflect the fact that the problem extends far beyond Delhi. The seminar series will present the work of experts in a range of areas, to help promote informed public discussion about what changes are needed, what is possible, and how to get it done. Clearing the air in terms of knowledge and public information, we hope, will make a small contribution toward actually clearing Delhi’s air. ICEE invites you to the sixth event in this series. Wednesday, 7 March 2018, 4:00 – 5:30 p.m. The seminar series began with a talk on air pollutants in Indian cities and the gaps in our knowledge about them, followed by two events on health impacts of air pollution. We have now turned to specific sources of air pollution, and the last panel discussed emissions from crop burning. In the sixth event of this Seminar Series, we look at municipal solid waste as a source of air pollution in the National Capital Region. 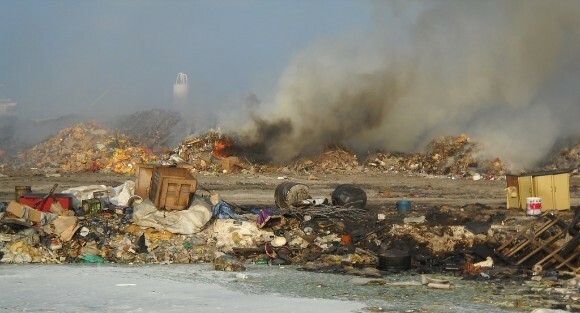 In this panel, we will seek to understand the multiple locations and kinds of exposures to air-borne pollutants that take place in the solid waste disposal cycle. Some of the strategies to address these exposures give primacy to the waste workers, whereas others emphasize technology, infrastructure and management. We will also discuss pollution standards setting processes and regulations, and the challenges and opportunities this provides for waste management and mitigation interventions. Ravi Agarwal is founder director of Toxics Link (www.toxicslink.org), an environmental NGO based in New Delhi and working on areas of chemical safety, toxics and waste, for over two decades. Ravi is part of several high-level governmental standards and regulatory committees, and a participant in UNEP, EU, WHO forums and related International Conventions. He is also the Treasurer and Executive Board Member of the International POPs Elimination Network (IPEN) a 600 member international civil society network working on chemical safety, besides being Chairperson of the Board of Tactical Tech Collective (TTC), an international NGO working on civil society and digital interphases. Ravi was awarded the IFCS -WHO Special Recognition Award (2008) and the Ashoka fellowship (1998). He writes regularly on environmental issues in the media and journals besides having co- authored books such as “Chemicals, Environment, Health: A Global Management Perspective, Taylor and Francis, USA, 2011”. Nalini Shekhar is co–founder of Hasiru Dala (http://hasirudala.in), a non-profit organization working on the informal waste economy. Her main focus of work is on inclusion of waste pickers in the solid waste management process of urban local body in Bangalore. She works with waste pickers, municipal officials and elected representatives on zero waste practices and integration of informal workers in solid waste management. She co-founded Kagad Kach Patra Kashtakari Panchayat (KKPKP), a union of wastepickers in Pune in 1993, and she is also co-ordinator of the National Alliance of Indian Wastepickers. Dr Seema Awasthi is a founder and director of ICUC Consultants Pvt. Ltd.(http://icuc.in/site/) an environmental startup based in Delhi that provides consultancy services in the field of urban environment, climate change, environment management and sustainability, carbon credit markets and renewable energy. She is an expert in solid waste management and has over 18 years of professional experience in which she has worked on number of projects on solid waste management, advising various city authorities on PPP models and integrated waste management strategies. She has advised on design for closure of landfill sites at Ghazipur and three other landfill sites under the Municipal Corporation of Delhi with emphasis on utilization of landfill gases and conversion of landfill gases to CNG, among many other projects. She received her M.Tech and PhD in Environmental Engineering from IIT Delhi.